- Back in 2009, when this type of small low power running PC with Intel Atom/ Ion Nvidia Platform or just wellknown as 'Nettop' kind of boom in the market. 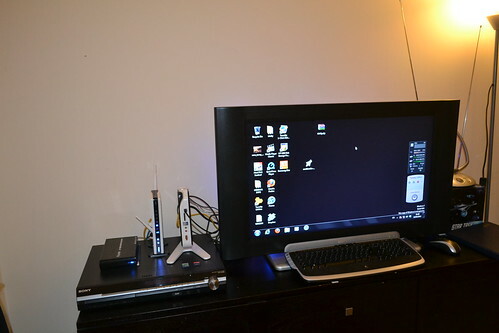 Got this Acer REVO hook up into my TV just to watch downloaded movies or viewing youtube. And it cost about $200 with Linux OS. With this slim factor Intel Atom processor, this machine a way behind to become full multitasking PC. So I decide to put end of it permanently behind my TV. 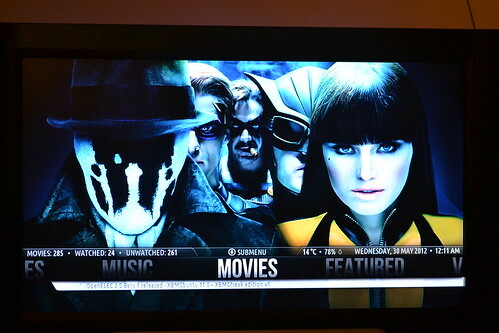 - Without need to load into full running OS before loading XBMC, this slim version embeded Linux with XBMC is the fastest way to watch any Movies/TV Channel. Yes it fast boot, just only 10~20 seconds depends on how big is your data in USB. - So far, this stable version and don't have any problem during installation or during running Media Centre. Unlike Dharma 10.0 or even Frodo 12.0, both vesion I've tried but there always something wrong with it. Just my opinion at the moment XBMC Eden 11.0 is the best candidate for Acer Revo hardware environment. "Just fyi, right now (Feb 2014), I'm waiting to try Frodo 12.3 XBMCLive / XBMCbuntu. They have 12.2 and don't like it coz cannot find suitable graphics drivers when you connect Acer REVO to your HDTV via VGA, it max resolution stuck at 640x480"
In 2010, I installed XBMCLive 10.1 Dharma (Standalone) into my Acer Revo running as dual boot with Windows 7 Ultimate. That version of XBMCLive (2.6.32.29 running perfectly with about 100+ songs, 100+ movies and tv shows in my external HDD, and over 50+ internet streaming channels. 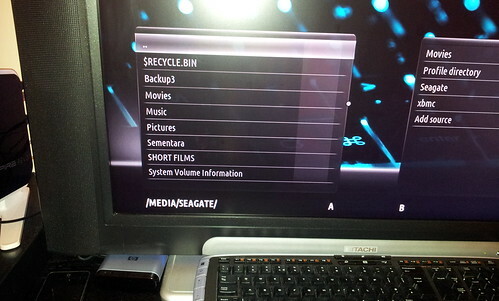 My Acer Revo setting, I spare 25GB for XBMCLive. 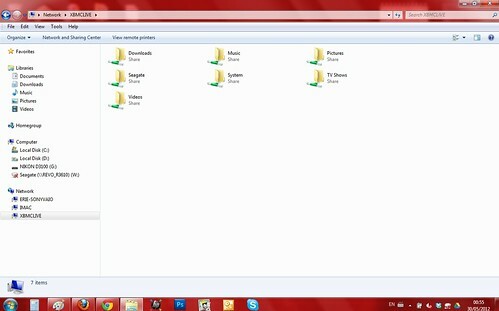 Installed it from SDCard 4GB, it dual boot with Windows7. 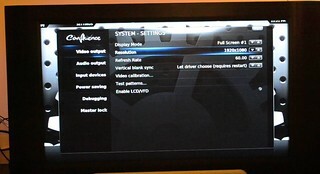 Then when it start, it automatic boot into XBMC with 10seconds. I can start watching movie after about 20sec cool boot. Another great feature in XBMCLive. I want to access my 1TB External HDD any time from any computer in my network. So basically I want to make my Acer Revo to be as Network Access Storage (NAS) elsewhere media centre that hook up with 32" LCD TV without need to boot into Windows 7 or other OS. I didn't touch anything under '[global]' except workgroup = 'my network group' (default : WORKGROUP). 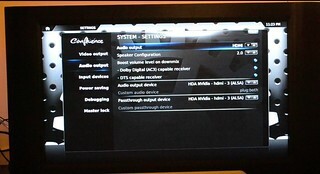 Install XBMC Live (Dharma / Eden) into ACER ASPIRE REVO (or Ion NVIDIA Nettop) ? New added features in setting and smooth movies browsing. Boot time take about 45sec compare 25sec in Dharma. Shutdown time double to 15sec compare than 7sec in Dharma. 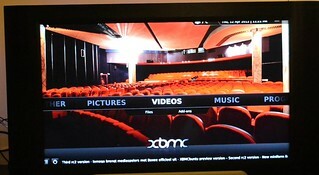 This latest version XBMCFreak Eden most likely prev version XBMC Live Dharma, just a little bit tweak and interface visual improved. 7. Then, this happened to me... it took about 10 mins to find my network and then it failed to configure my network. It 'Booting system without full network configuration', this will resolve when you reboot it again after unplug 'Ethernet Cable' connected to router and restart 'Router'... then plug back Ethernet cable and switch on Acer Revo. 11. 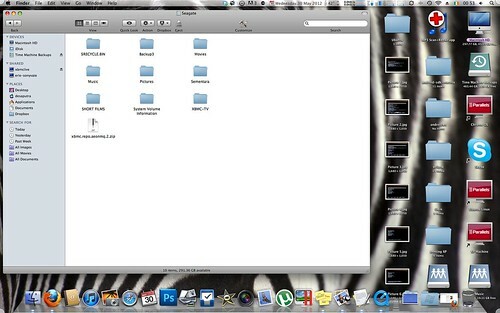 Then select partition you want to install XBMC then click install now, it will ask about 'swap' disk. I just ignore it so it will eat up self 25GB volume. 12. Then 'your region' > 'keyboard layout' > 'user' (please select 'Log in automatically'), next you will wait about 20min for installation process. 13. Then NOW you DONE, it will restart and immediately remove your SDCard / USB Drive. Then it DONE. Next I will show you how it look like and it default setting of video and sound in next Part. 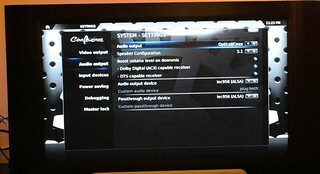 Here I want to share, step by step how I install new XBMC 11.0 (Eden) Live version into my ACER Revo with video guide elsewhere. After reading a lots of blogs, webcast, forums since Dec 2011 about Eden. I thought it could be disaster if I install it into my stable XBMCLive now, and I will not get XBMC Standalone like I had right now. 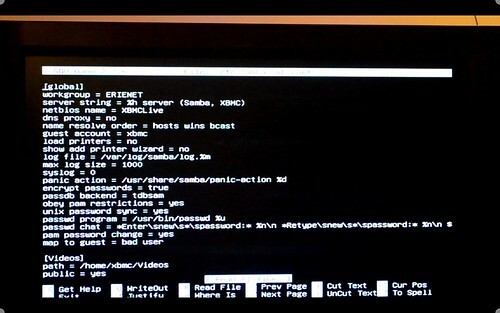 It means I need to run XBMC via Ubuntu (boot into Ubuntu first and then run XBMC automatic from there). Last week I found XBMCFreak Live Version 1 has been release (release 4 Apr 2012) here : http://bit.ly/IiVakQ . 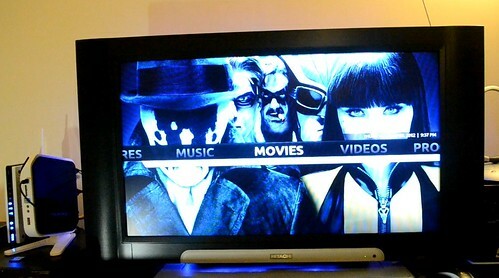 Then here I tried to upgrade my XBMC. 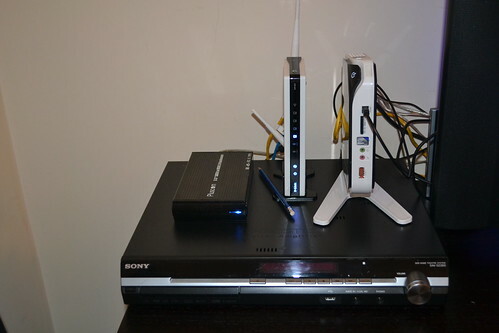 Step by Step Guide (I cannot thank enough forumers and bloggers that discuss about how to install XBMC into their HTPC Ion including this Acer Revo over the internet, because what you will see here is combination of those technique and tricks to success install at first try...) - yes I did it 1st install. 1. Insert SDCard or USB Drive into your computer (USB or Card Reader) and do nothing. * Sign Up dropbox here : http://db.tt/7nTUj00G (Free 2GB + 500MB cloud storage). 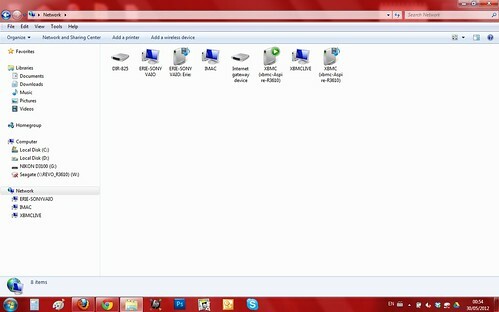 - Makesure type is 'USB Drive' (both SDCard or USB Drive used this setting) and click OK.